In an October 30 letter from Pres. 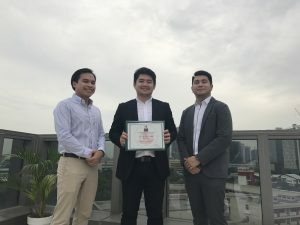 Benigno Aquino III, Justin DJ Sucgang was formally appointed as a regular member of the Legal Education Board (LEB) to represent the student sector. 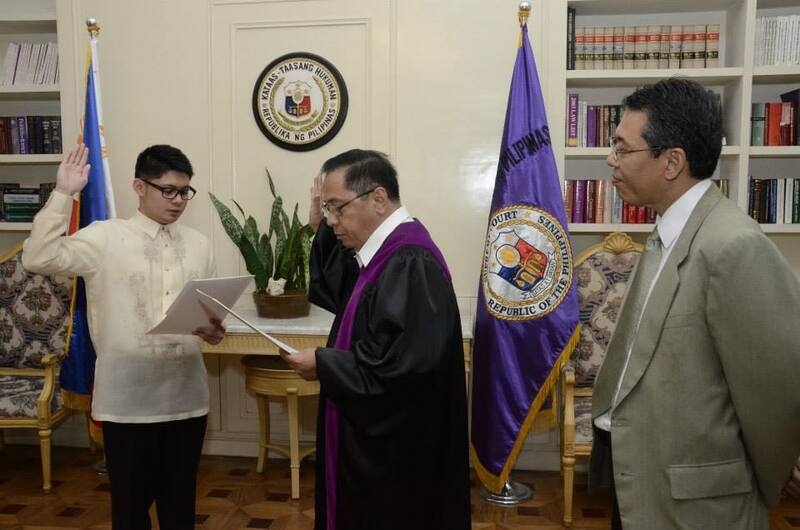 Sucgang took his Oath of Office last November 25 at the Supreme Court of Manila, Philippines. 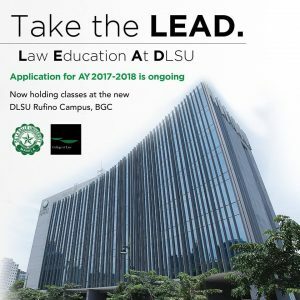 The DLSU College of Law student was one of the three nominees from the student sector and is the first appointee from a private law school. His excellent track record as a law student prompted his formal appointment to the LEB. Sucgang, also a DLSU Psychology Department lecturer, is a full university scholar and recipient of the Melencio-Herrera scholarship grant. He served as top legal intern in the Office of the Solicitor General in 2012. 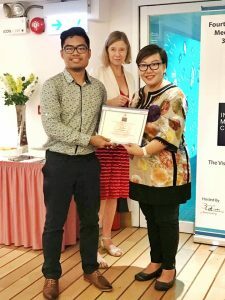 In the following year, Sucgang worked as an apprentice at the SyCip Salazar Hernandez & Gatmaitan Law Office. 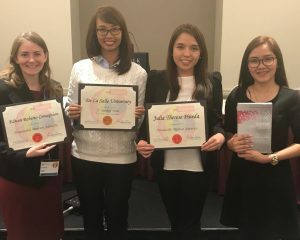 The newly appointed member of the Legal Education Board was also part of the baseline study on Philippine Legal education by the University Research Coordination Office. He was also a research assistant in the DLSU COL’s research program workshop on law students’ learning strategies. THE 168th COMMENCEMENT EXERCISES will be on 12 October 2013, 0900 at the PICC Plenary Hall. The venue for the Reception Lunch will be announced later. For faculty members, to confirm attendance to the Commencement Exercises and the Reception, please click “Attend Graduation” on your My.LaSalle account. For reference, please keep the electronically-issued confirmation number. This facility will be accessible from 11 September 2013 (from 0800 to 2000 on weekdays; from 0800 to 1200 on Saturdays). As we have to make various preparations, we regret that we cannot entertain confirmation of attendance beyond 24 September 2012. 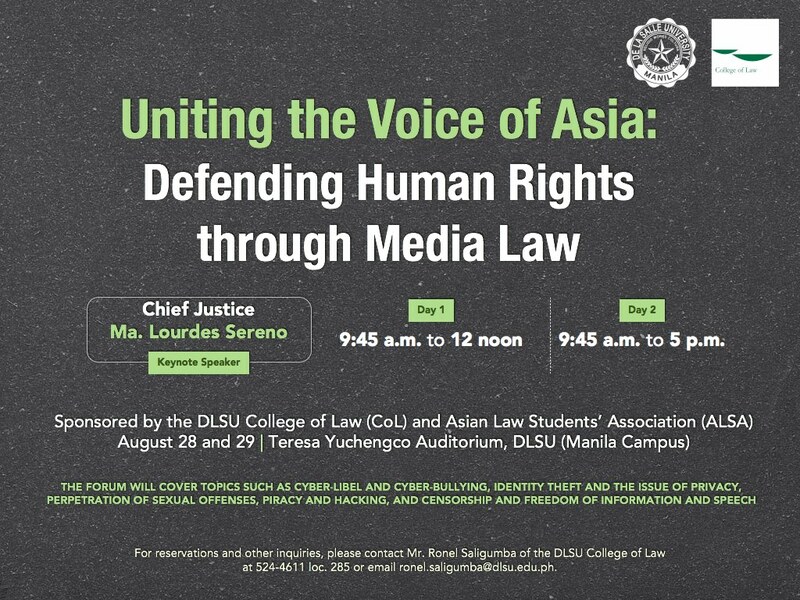 The DLSU College of Law and Asian Law Students’ Association invite everyone to the forum entitled, “Uniting the Voice of Asia: Defending Human Rights through Media Law.” Keynote Speaker will be Chief Justice Ma. Lourdes Sereno. This will be held on August 28-29, 2013 at 9:45 a.m. to 12:00 noon at the Teresa Yuchengco Auditorium. 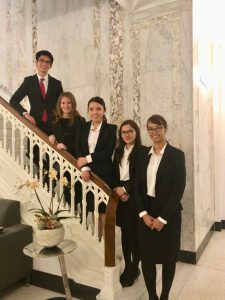 The Forum will cover topics such as cyber-libel and cyber-bullying, identity theft and the issue of privacy, perpetration of sexual offenses, piracy and hacking, and censorship and freedom of information and speech. 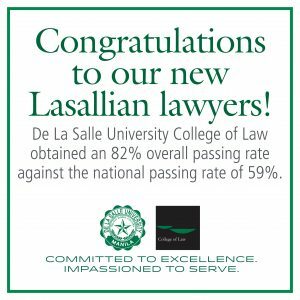 For reservation and other inquiries, please contact Mr. Ronel Saligumba of the DLSU College of Law at 524-4611 local 285 or email ronel.saligumba@dlsu.edu.ph. 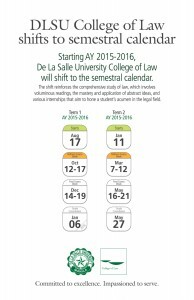 The next schedule will be on September 7, 2013 Saturday at the Teresa Yuchengco Auditorium, De La Salle University Manila campus. Attendance is REQUIRED for all new graduate students which means that there will be an automatic re-enrollment or re-assessment every term until you have attended the orientation. 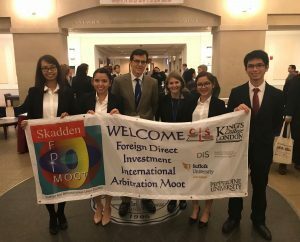 This should be taken on your first three terms in the program. Please confirm your attendance on or before September 3 , 2013 (Tuesday). We will inform you of the time of your orientation upon confirmation of your attendance. Contact the Graduate Student Programs and Services Coordinator, Ms. Izel B. Guatno at 524-46-11 loc. 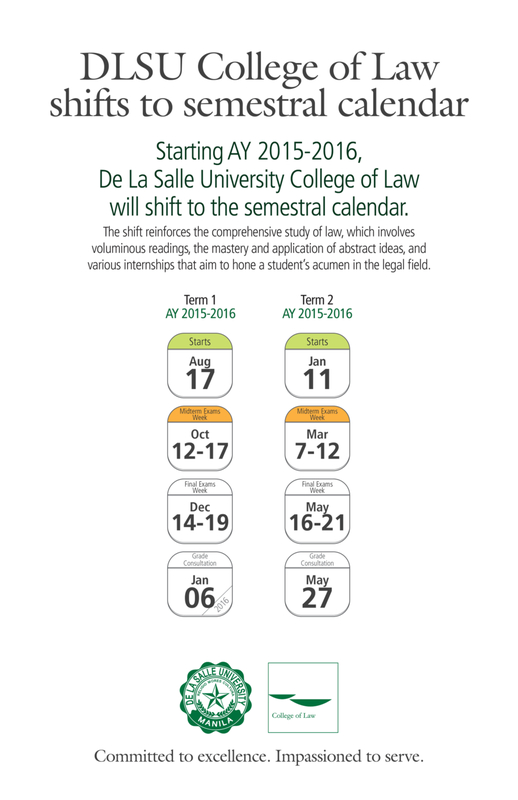 732 or send an e-mail to izel.guatno@dlsu.edu.ph.